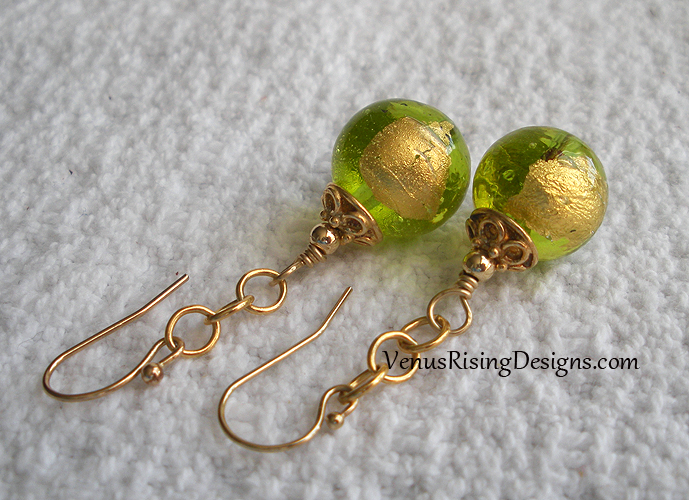 The bright-green Venetian glass globes in these earrings are embedded with gold leaf. Vermeil (gold over sterling silver) bead caps, and gold-filled beads, chain and findings. About 1-3/4"